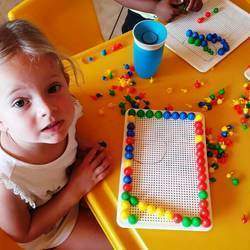 Little Caterpillars aims to provide the greater Midrand area with an Elite nursery school option. We offer small classes which in turn will provide a high level of care and education. Our baby room only caters for a maximum of 10 babies at a time. Little Caterpillars offers a full and half day option. The fee includes meals and refreshments for the day. We are also open all year and cater for holiday care uses as well. We have a variety of extra murals you can choose from that all happen on site. 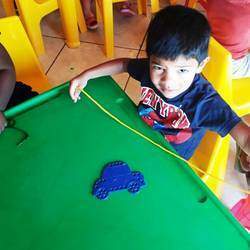 We accommodate children that require speech and Occupational therapy with our highly sought after therapists. We also offer swimming lessons included in the fee! - The school is ideally situated close to the N1 in a quiet safe area of Midrand. - We offer full and half day options. The school is open from 6.30am to 6pm offering a full time working parent piece of mind in knowing their little one is well fed and cared for while they keep up with the demands of today's working world. 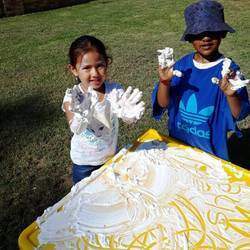 The sick clinic is a service Little caterpillars will be offering and is there for the convenience of parents having sick children with Flu, chicken pox, gastro etc. When your child is sick the don’t have to stay at home - they can still come to school and will be admitted to the sick clinic. Your child will be cared for during the day with trained staff to monitor your child’s fever , symptoms and administer any medication as prescribed by a doctor and the most important part of it all, TLC with peace of mind for you as a parent. This service is included in your monthly fee therefore no additional costs will be charged. We will also ensure your little one has their meals and refreshments throughout the day like they would usually. More than putting my Zane to a good school, I was more concerned with putting my Zane in the hands of a strong but loving, smart and sensitive, and fun and inspiring teachers like you Two. I’m so glad that we found Little Caterpillars and that my child is in Little Caterpillars. For the few hours each day that I know Zane is in Little Caterpillars , I can rest easy and stop worrying about him. Thanks for being so sweet and patient to my Zane, and for being kind and supportive to us parents. I really do appreciate it. I do appreciate what all the staff and teachers do for zane. Nozi I heard that you with Zane all day he really loves and adore you a lot. And that means a lot to me. And Kelly you gave Zane a chance even if you didn’t have to, you still did with everything you went trough this past year, Zane learned a lot this past few months and I really do appreciate that alopt. Zane is really a little Caterpillar who is turning in to a butterfly.